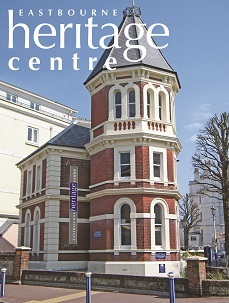 VISITORS TO THE HERITAGE CENTRE enjoy a wide ranging programme of films about Eastbourne and the surrounding area shown in the comfortable surroundings of our delightful cinema. Decorated in glorious period style adorned with original plaster masks salvaged from the Old Town's Plaza Cinema. A film programme list is available at the Heritage Centre. 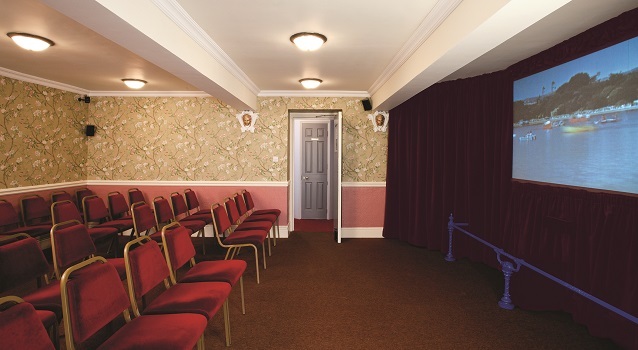 The cinema is available to hire for talks, meetings and conferences. 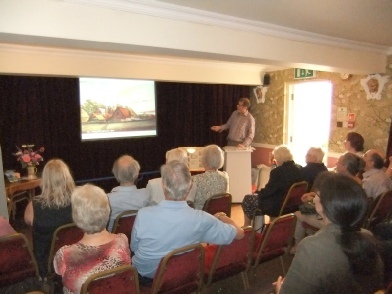 Eastbourne offers many venues that are suitable for larger groups but this delightful venue appeals to smaller groups and can seat up to 36 people comfortably. Cosy and intimate, it is beautifully decorated in Victorian-style wallpaper with burgundy drapes and seating. Additionally, the availability of the entire Heritage Centre is offered with or without conducted tours to make your event a memorable experience. 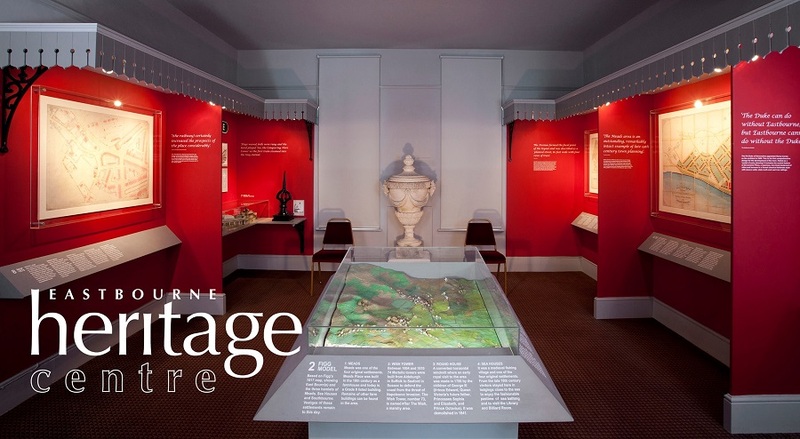 To enquire about charges and availability please email:bookings@eastbourneheritagecentre.co.uk or telephone 01323 411189. The cinema is available for hire outside our normal opening hours. State of the art equipment is available with wired and wi-fi internet connection, high definition image, multiple source inputs, DVD, and excellent 5.1 Dolby Surround sound. A laptop is also available. This is the perfect venue to host the small audio visual experience. Kitchen facilities are available.